 Objectives The aim of this study was to examine the association between long-term sickness absence (LTSA) due to mental disorders and musculoskeletal disorders and all-cause disability pension (DP) among blue- and white-collar workers. A secondary objective was to examine the influence of familial factors on the associations. Methods This was a prospective twin cohort study of 42 984 individuals (21–64 years at baseline), 3017 of whom had a new LTSA spell (>14 days) due to mental or musculoskeletal disorders in 2005–2006. Average follow-up time was 5.4 years. Survey data on occupational class and register data on LTSA and DP were used. Cox proportional hazards regression was applied to calculate hazards ratios (HR) with 95% confidence intervals (CI). Results During follow-up, 989 participants went on disability. LTSA due to mental disorders and musculoskeletal disorders led to similar HR for DP among both white- and blue-collar workers when compared to white-collar workers not on LTSA (reference group). LTSA ≥6 months due to musculoskeletal disorders was associated with a higher risk of DP for white-collar (HR 31.50, 95% CI 20.45–48.52) than blue-collar (HR 17.64, 95% CI 13.08–23.78) workers when compared to the reference group. HR were lower in the discordant twin pair models for LTSA due to mental disorders than in the whole cohort. Conclusions White-collar workers on LTSA due to musculoskeletal disorders are especially vulnerable to all-cause DP. This pattern was not present for LTSA due to mental disorders. Familial factors seem to influence the association between LTSA due to mental disorders and all-cause DP.